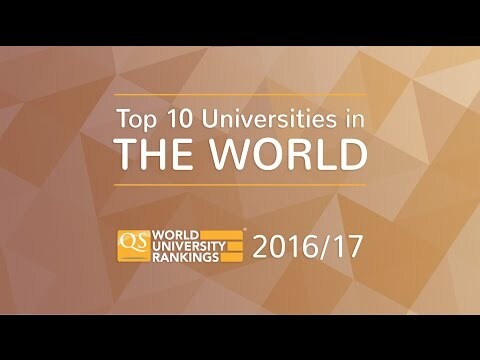 Home > World University Rankings > QS World University Rankings 2016/17 – Out Now! The thirteenth edition of the QS World University Rankings, released today, sees leading US and UK universities retain their positions at the top – though facing a growing challenge from the world’s emerging economic powers. Holding onto the top spot for the fifth consecutive year, Massachusetts Institute of Technology (MIT) is now followed by Stanford University, which has climbed one place this year. Harvard University (which led the ranking from 2004-9) is now third, while the University of Cambridge (another former table-topper) slips to fourth, having shared joint third with Stanford last year. The rest of the top 10 is predominantly stable, though Switzerland’s ETH Zurich continues its upwards trajectory, switching places with the UK’s Imperial College London. There’s a slight pause in momentum for Asia’s frontrunners – the National University of Singapore and country-mate Nanyang Technological University – which hold steady at 12th and 13th respectively. A little further down the list, China’s leading light, Tsinghua University, climbs one place to its highest-ever position, at joint 24th. The ranking shows progress for some (though not all) of the world’s fast-developing economies, including both China and Russia, and for leading higher education hubs across Asia. China now has three universities in the global top 50; Tsinghua (=24) is joined by Peking University, which climbs two places to 39th, and Fudan University, which climbs eight positions to 43rd. Eight of the C9 group have improved their overall positions this year, with eight of these nine also gaining ground in the indicator assessing research impact. There’s also a more general pattern of upwards momentum for institutions across Asia’s leading higher education hubs. All but one of Hong Kong’s seven featured institutions have moved up this year, with three featuring in the top 50. Both South Korea and Malaysia see their leading institutions continue to climb, and – after several years of decline – there’s a more positive picture this year for Japan as well, with 14 of the top 20 Japanese universities moving up. The majority of Russian universities featured in the ranking have also improved their positions this year – four of them by more than 100 places. Though the nation has yet to break into the global top 100, its leading entrant, Lomonosov National State University, stays stable just outside, at 108th. National funding key to rankings progress? While high levels of national investment and dedicated programs such as Russia’s 5-100 initiative and China’s 211 and 985 projects appear to be paying off, other nations are struggling to keep pace. The table this year shows institutions losing ground across most of Western and Southern Europe, as well as much of Latin America. A notable exception to this pattern is the US, whose institutions continue to go from strength to strength in the rankings, even amidst ongoing concerns about university funding and student debt. Many US institutions have maintained or improved their positions this year, and the country claims almost a quarter (48) of the top-200 entries. This is also the first time since the inaugural 2004/5 edition that US universities have occupied all three top spots. The picture is not quite so bright for fellow higher education heavyweight, the UK. Though still making 30 appearances in the top 200, many UK universities have fallen in the table this year. Like many of their counterparts across continental Europe, British institutions are amongst those being forced to give way, as rising stars elsewhere in the world stake their claim to a place among the best. 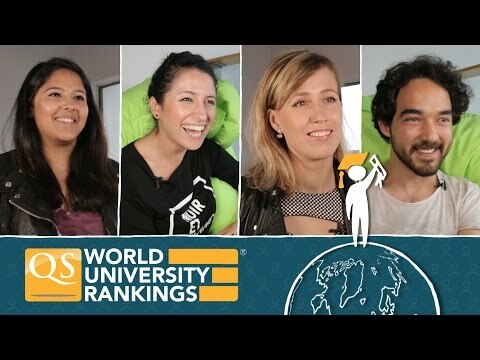 Published annually, the QS World University Rankings provides an index of the world’s leading higher education institutions, based on six performance indicators. The ranking has been expanded this year to feature 916 universities (25 more than last year) in 81 countries, following an assessment of more than 3,800 institutions. The results are presented in an interactive table, which can be filtered by both location and indicator. In 2013, QS became the first compiler of international rankings to be independently audited and approved by the IREG Observatory on Academic Rankings and Excellence. Alongside the QS World University Rankings, the "IREG Approved" label is also carried by the QS University Rankings: Asia and the QS University Rankings: Latin America. For more in-depth analysis of this year’s results, the free digital supplement is available to read online. Join the conversation on Twitter with #QSWUR.